Amazon is holding an event in the next few days to announce something new. 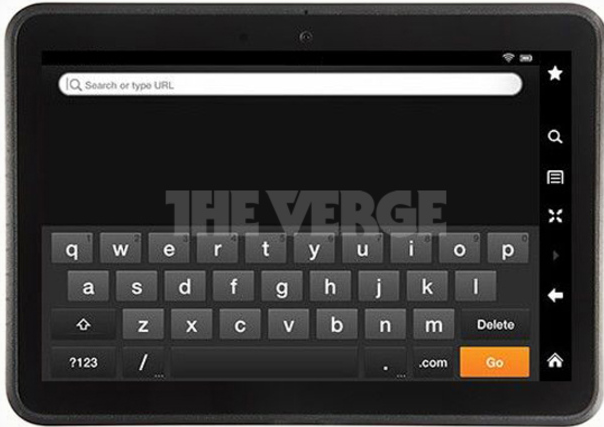 The device likely to be announced is a new model of the Amazon Kindle Fire. I believe that because a refresh is due and also stock levels dropped to zero yesterday which is about perfect timing for the company to announce something new. The Verge posted the image above, as can be seen by the watermark, and although they mention it is the next gen Kindle Fire, one source told them that it actually isn’t the final version of the Kindle Fire as this other source had handled it and compared it to the Motorola Xoom. The final version will have a wider bezel. Could we be looking at a colour eInk Kindle above then? I can’t say for sure. I have heard in the past that Amazon has looked in to colour eInk but at the moment it hasn’t been used in any of the companies products. Not much is known about the leaked shot other than it looks to be a similar 7 inch screen along with a camera on the front and a mic on the front. Having a camera on the front would make me more inclined to think that this isn’t an eInk device as that would be highly unlikely to be included on an eReader… so for now we’ll just need to wait till September 6 to find out what is announced.